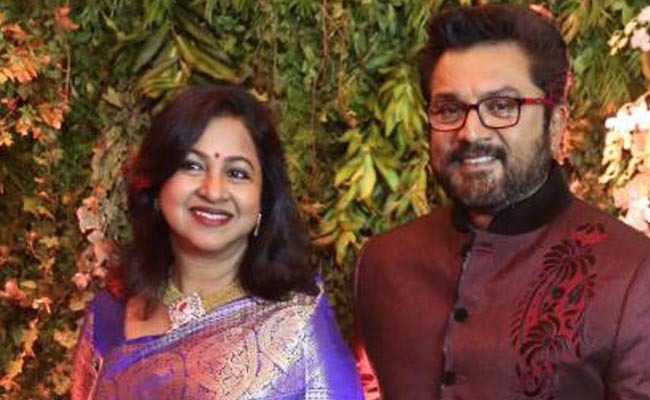 It is been a long time, since Sarath Kumar and Radhika Sarath Kumar have done an on screen acting Jodi acting. Though they were seen acting in Chennaiyil Oru Naal, their characters weren’t having any relationship status. However, the real life pair is gearing up for becoming reel life pair as well for Vikram Prabhu starrer Vaanam Kottatum. This Mani Ratnam production venture is touted to be a family drama. Both Vikram Prabhu and Aishwarya Rajesh would be seen acting as children of Sarath Kumar and Radhika Sarath Kumar couple. Makers have roped in Madonaa Sebastian to play the lead lady’s role. To be directed by Mani Ratnam’s long time associate Dhana, the story of Vaanam Kottatum has been scripted by Dhana along with Mani Ratnam. This 19th production venture of Mani Ratnam’s ‘Madras Cinema’ would have Govind Vasantha of 96 fame composing music.